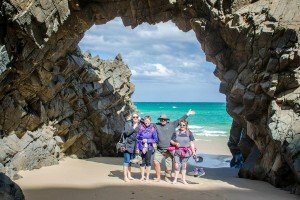 Who’s up for the Tassie Multi Walks Challenge! One of the things about Tasmania is its incredible contrast in walking experiences. The Apple Isle has it all – but how do you experience it all? 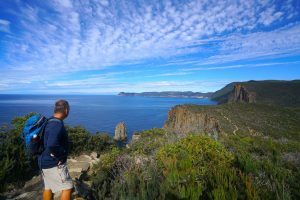 One way would be by doing a couple of Life’s An Adventure walks back-to-back or as we like to call it: The Tassie Multi Walks Challenge – because, you know, it always sounds better when you add a ‘challenge’ on the end of something! So what are the Tassie walks and what do they offer? And of course, all of these walks are pack-free, with excellent accommodation and first-class meals! 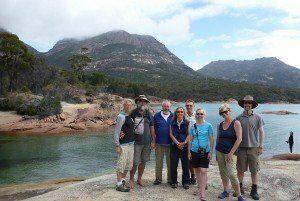 So on the Tassie Multi Walks Challenge you could go from three days walking the Bay of Fires then a couple of days later find yourself exploring the magnificent Flinders Island OR after a three-day Freycinet walk you could be resting up for a day or two then enjoying another pack free walk, this one around Lake Pedder. Considering a back-to-back tour will not only extend your walking holiday – and what’s not to like about that! – but you’ll get a better sense of the sheer beauty of the Apple Isle. You’ll come home knowing Tasmania more than you ever thought. You’ll also become part of Life’s An Adventure’s Frequent Walkers Program which will get you discounts on future walks and complimentary outdoor gear. Here are some possible back-to-back walks you could consider – and as always, speak to the helpful people at Life’s An Adventure for more info on logistics, trip availability and rates. If you want to look at future dates simply contact Head Office (walks@lifesanadventure.com.au / 02 9975 4553) and they’ll do their best to accommodate you.